Thomas McNulty, aged barely seventeen and having fled the Great Famine in Ireland, signs up for the U.S. Army in the 1850s. With his brother in arms, John Cole, Thomas goes on to fight in the Indian Wars—against the Sioux and the Yurok—and, ultimately, the Civil War. Orphans of terrible hardships themselves, the men find these days to be vivid and alive, despite the horrors they see and are complicit in. 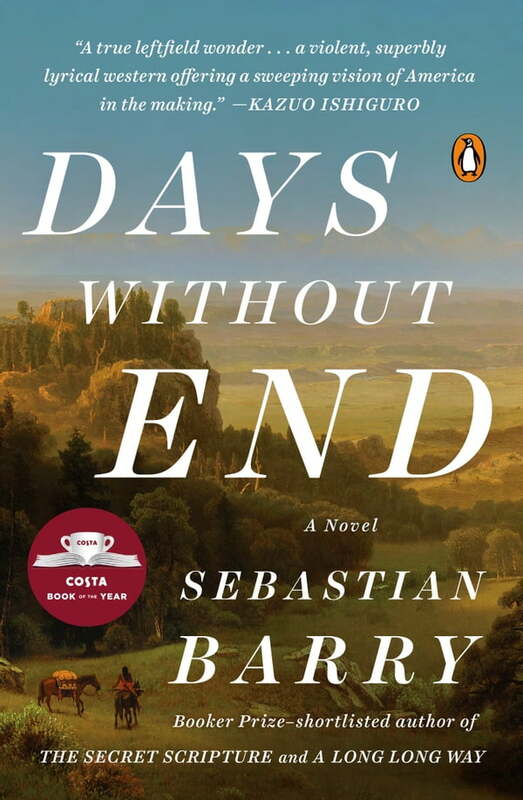 Moving from the plains of Wyoming to Tennessee, Sebastian Barry’s latest work is a masterpiece of atmosphere and language. An intensely poignant story of two men and the makeshift family they create with a young Sioux girl, Winona, Days Without End is a fresh and haunting portrait of the most fateful years in American history and is a novel never to be forgotten.